Our NHS Dental Practice Inverurie: We, Inverurie Smile Care, are warm, welcoming, and pride ourselves on being your local Inverurie dentist, providing care that you can trust. We offer a wide range of modern dental care, from routine examinations to tooth whitening and preventative dentistry services. Family Friendly Inverurie Dental: With our state of the art equipment and facilities, including a dedicated decontamination room for sterilising equipment, you can be assured that you are in safe hands at our Inverurie dental practice. Dentistry has gone through dramatic changes during the past decade or so. Better equipment, state of the art surgeries, and the comfort of our patients above everything else allow us to provide pain-free and personalised dental care. Award-Winning NHS Dentist Inverurie: When providing you the best dental care, our goal is to ensure that our patients are treated as individuals, not as numbers. That is why our staff will do everything they can to make you feel as relaxed and comfortable as possible during your visit. Award-Winning Inverurie Dentist: To make sure you receive the best care possible, our team of dental professionals attend regular training programmes to keep up to date with the most recent treatment options in dentistry. Our dentists will always make sure you feel comfortable and relaxed in our NHS dental practice and will thoroughly explain all treatment options to you. 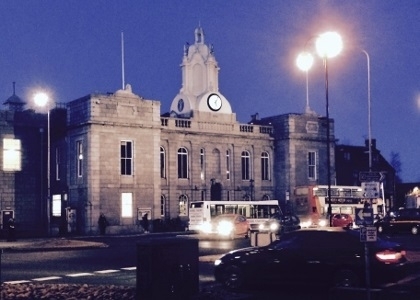 To read the story behind our Inverurie dental practice click here. To register as an NHS patient with Inverurie Smile Care please fill in our online form or call us on 01467 629 909.